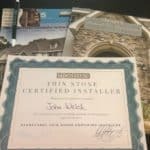 The STONEYARD® Certified Thin Stone Mason Installer program provides masonry professionals with tools and important tips for the most efficient and effective install. Classes are held regularly at our Littleton, MA training center. Choosing an installer is an integral part of any masonry project. Customers are looking for natural thin stone veneer experts who are experienced and knowledgeable about all aspects of the installation. See the Class Schedule or select your class below. Let us help you connect to more customers. 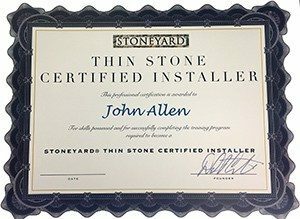 Stoneyard Certified Thin Stone Mason Installers get project leads by having a dedicated listing and showcase on Stoneyard.com. We encourage all installers of Stoneyard veneer stone to send us descriptions and photos of completed projects. No matter where the project is in the U.S., a local list of installers is readily and easily available to Stoneyard.com customers and visitors seeking stone veneer installers. Certified Installers can be added to the Stoneyard Find An Installer App by request after attending the Certified Installer course. Education is everything in our trade we are always looking to improve and learn something new. A Big Thank You to DAVID CROTEAU for our training yesterday we really enjoyed our time at Stoneyard! The STONEYARD® Certified Thin Stone Installer program provides masonry professionals with tools and important tips for the most efficient and effective install. Lunch is provided. This is a 20 minute course on how to use digital marketing to reach stone customers. You will have access to the course immediately after registration. You can view and listen to the course on your laptop, tablet or phone. If you need reminders and tips on what works today, you’ll be able to download all the checklists in this presentation. To attend this webinar you must complete the form below. Gene Bellotti, head of Customer Experience at Stoneyard, has worked in marketing and advertising for 30 years. He promotes Stoneyard and mason contractors through digital marketing and is responsible for Stoneyard’s end-to-end customer experience. 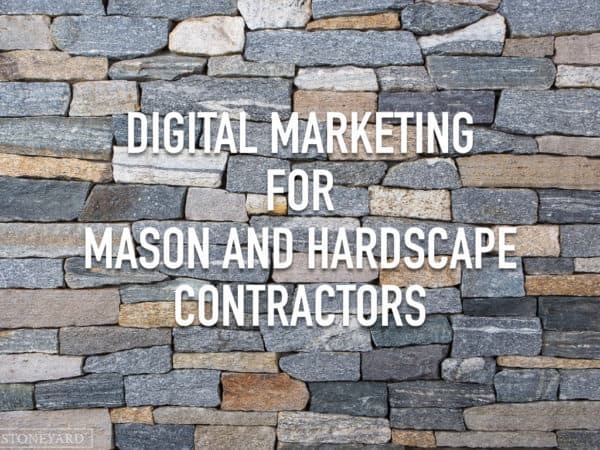 In this course he shares Stoneyard’s successful digital marketing strategies and how Stoneyard can help mason contractors improve their self-promotion through Stoneyard.com and Stoneyard’s Certified Installer network.